You are unique. Your wedding can be too. We are unique. We are committed to excellence – superior staff, quality service and reasonable prices for the experience of a lifetime. Chapel of the Pines is the ‘Chapel Without Walls’. We believe that the love you bring to your wedding makes any location your personal ‘sanctuary’. We can go with you anywhere and meet practically any need. We are creative and caring wedding professionals with over thirty-five years of service (each!). 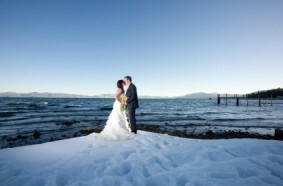 We serve the greater Lake Tahoe and Carson Valley area.